When it comes to desserts I’m more of a lemon guy. This lemon ice cream really does the trick for me. 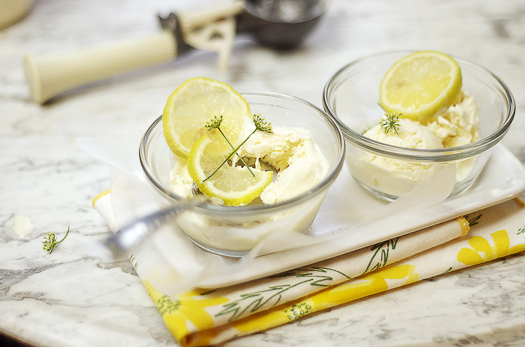 It’s creamy and tangy and full of lemon flavor without being overwhelming. I sort of think of it as lemon curd in ice cream form. This recipe is perfect for a Summer BBQ. Combine the milk, cream, lemon zest and 1/2 cup of the sugar in a heavy saucepan. Cook, stirring frequently, over medium heat until almost simmering. In a bowl, whisk together the egg yolks, the remaining 1/2 cup sugar, and the salt in a bowl. Slowly pour the hot liquid into the egg mixture, whisking as you pour. Return the mixture to the saucepan. Cook, over medium-low heat, stirring constantly with a heat-resistant plastic or a wooden spatula, until the custard reaches 175°F and lightly coats the spatula. Strain the custard into a clean bowl and cool over an ice bath until room temperature. 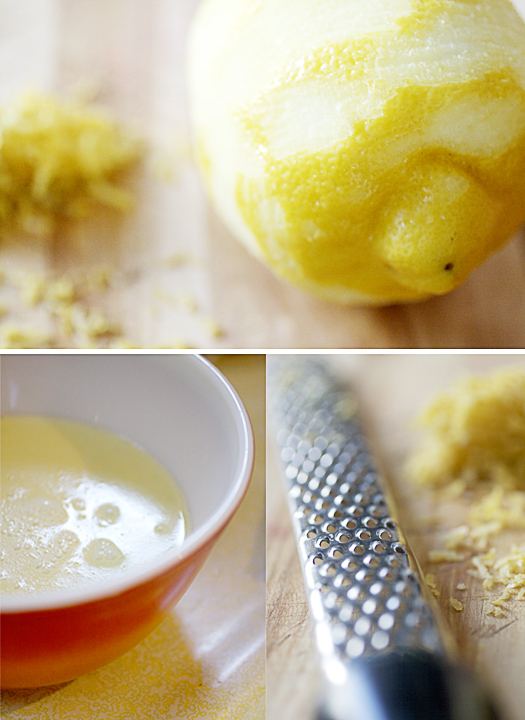 Stir in the lemon juice. Refrigerate the custard for at least 4 hours or up to overnight. Churn in an ice cream machine according to the manufacturer’s instructions. Freeze until scoopable, about 4 hours, depending on your freezer. beautiful!! 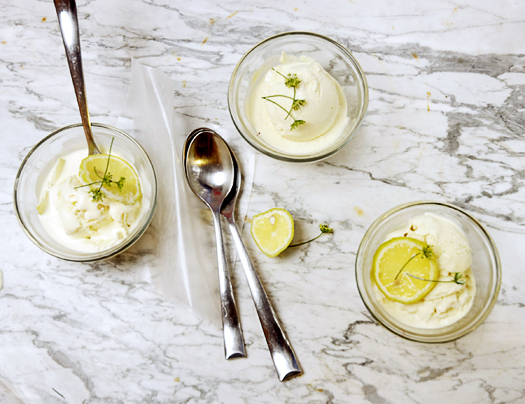 I love the idea of lemon ice-cream. This looks so good. I love lemon anything, so I'll definitely be giving this a try. Great pics and great blog!